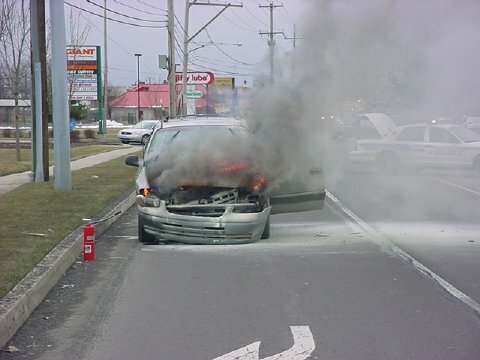 Engine 65, Medic 186 and Bensalem Police were dispatched to the area of RT #1 IAO of the Lincoln Motel for an MVA. Bensalem units arrived on location shortly before 2am along with units from Philadelphia Fire Dept. 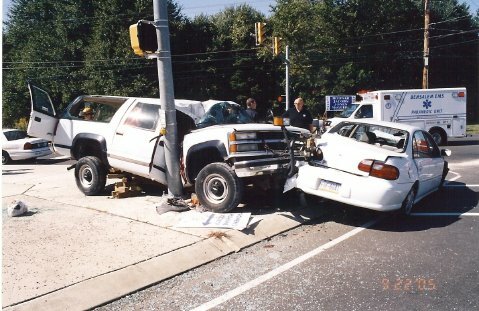 to find a 2 vehicle traffic accident (inside the Phila. city limits) with two people ejected onto the highway. One of the vehicles flipped numerous times prior to striking a tree. A female passenger died at the scene and the male drive was taking to FTH in critical condition. One person from the other car was taken to the hospital in serious condition. 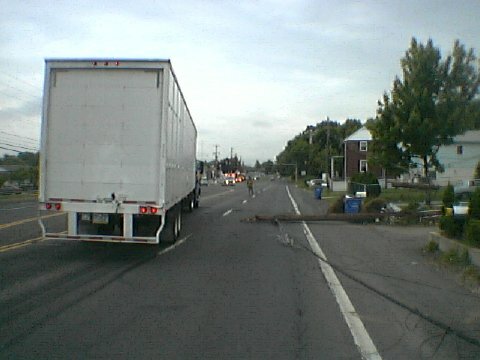 RT # 1 was closed for an extended period of time while police investigated the cause of the crash. Crews dispatched to a reported Dwelling that exploded and is now on fire in the 3700 Block of Knights Road (County Dispatched reported 3 people entrapped) Chief 28 arrived on the fire scene with a 2 story cape cod dwelling fully involved in fire with a 2 car garage as an exposure on side D and a 2 story dwelling as an exposure on side B. All hands in service. A 2nd alarm was stuck for additional manpower  Command was advised by the homeowner at 1130 hrs that all occupants were out of the dwelling. Crews remained all scene until 1530 hrs assisting the Fire Marshal. The cause of the fire is under investigation by the Bensalem Fire Marshals Office with assistance from the Philadelphia FMO. Ladder 65 was added to the scene of a 2 story dwelling fire in the Eddington Section of Bensalem. Engine 28 AOS with a 2 story Cape Cod medium smoke showing side A-B-C they went into service with a 1 ¾ waterline, Ladder 65 went into service with laddering the dwelling and ventilation. Crews quickly knocked down the fire on the first floor and checked for extension. 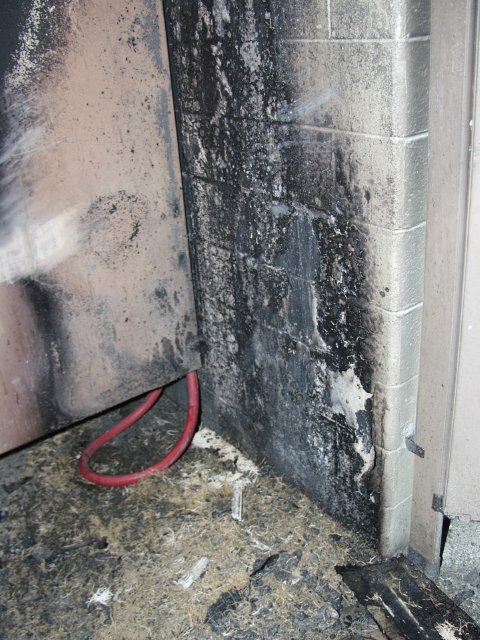 The fire was caused by a malfunctioning appliance. Engine and Ladder 65 were 1st on location of a dwelling fire Monday afternoon in Lower Southampton Township. 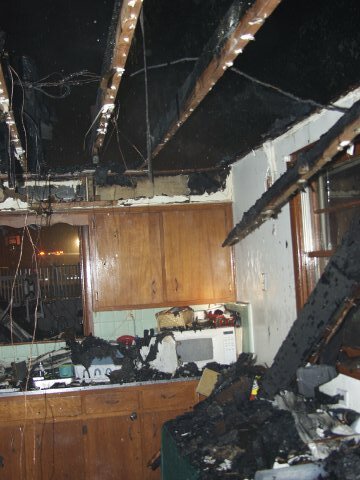 Engine 65 went into service with a 1 3/4  hand-line and encountered heavy fire conditions throughout the dwelling. Ladder 65 side A vented the windows and assisted in a primary search of the dwelling. 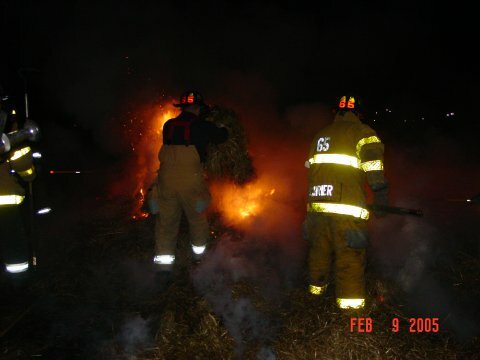 Three additional hand-lines were pulled off Engine 65 and placed into service. Firefighter Ralph Huttick and Rocky Fontaine suffered minor burns and were treated and released from Lower Bucks Hospital. 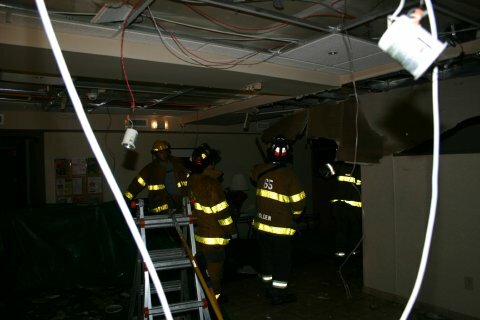 Crews were on location for an extended period of time with a large amount of overhaul. 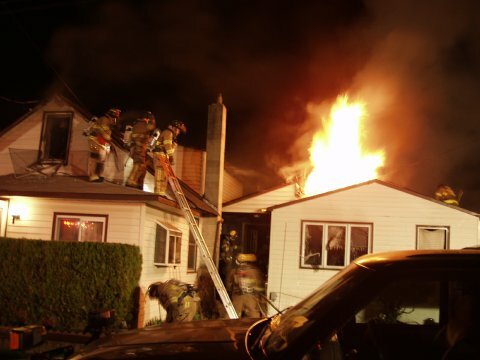 The Bucks County Fire Marshals Office labeled the cause of the fire to be accidental. Deputy 4 arrived with smoke showing from a one (1) story single family dwelling. Engine 65 arrived first on the scene and picked up its own hydrant at Cedar Av/Linconia Av and went in service with an 1 3/4 line to the basement. 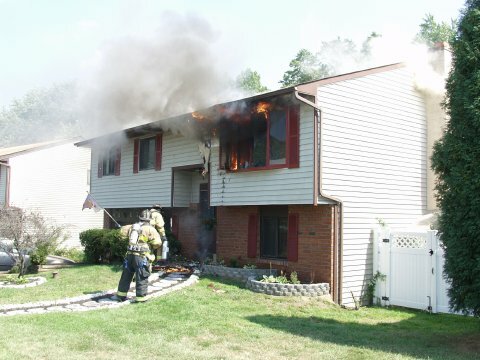 The Engine crew encountered heavy smoke upon entering the first floor and heavy fire in the basement. The incident is being investigated by the Bensalem Fire Marshal's office. Crews were dispatched to a fire in Dormitory # 3 for a report of a bathroom on fire. Deputy Chief Sponheimer AOS with a one story building with light smoke showing. Engine 65 and Ladder 65 quickly knocked down a trash can fire, but crews remained on location for nearly 2-hours with an extensive overhaul operation. 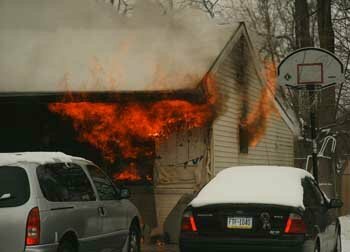 The Bensalem Fire Marshals Office determined that the fire was intentionally set. Squirt 28 on scene reporting heavy fire on the second floor with possible entrappment in the fire apartment , requested a Second Alarm be transmitted. Ladder 65 was the first arriving unit on the Second alarm and nosed in to Squirt 28 on side A. Truck crew went in service with the main to the roof , ground ladders and conducted searches on the fire floor. Primary and Secondary searches came up negative, the fire was contained to one unit and crews were in service an extended period. BC 88 arrived on location with a 2 story dwelling fire showing from the roof. E-88 & E-44 side went into service with an 1 ¾ waterline. 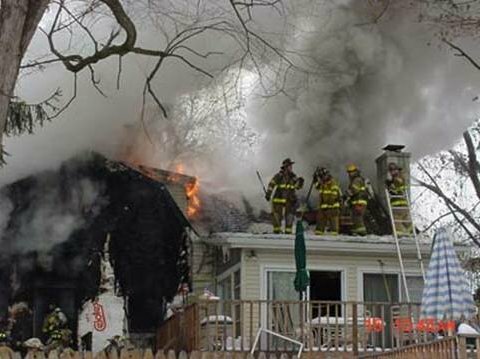 L-8 preformed a search of the dwelling while L-65 opened up the roof. All hands were in-service for an extended period of time. 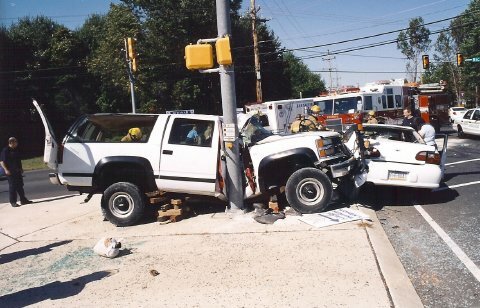 One firefighter from Newport FD was injured and transported by Bensalem EMS. Investigators from the Bensalem Fire Marshals Office are still investigating the cause of the fire. Ladder 65 and Squirt 44 were added to Box 77-9 Woodbourne Apartments "I" Building. Chief 7 AOS of a 3 story apartment building, with heavy fire showing from the roof and 3rd floor. A 2nd alarm was transmitted and all companies were placed into service. Crews remained on scene for an extended period of time with extensive overhaul operations. BC88 AOS of a 2 story dwelling end of the row with a fire in the basement. Squirt 44 side A went in service with an 1'' 3/4 hand-line while Ladder 65 side A split there crew and went in service laddering the dwelling and searching the interior. 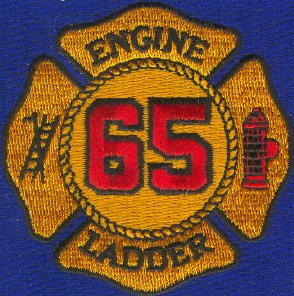 Chief 65 the OIC of Ladder 65 found the seat of the fire in the basement and advised the OIC of Squirt 44. The fire was quickly extinguished and all searches were negative. 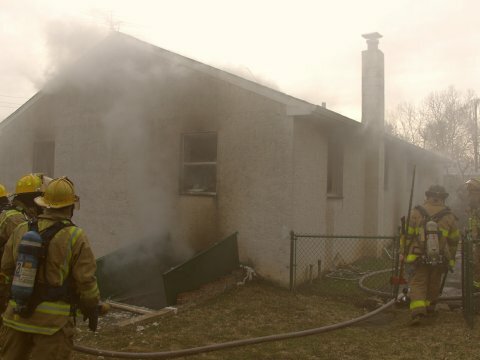 Investigators from the Bensalem FMO labeled the cause of the fire accidental in nature. Engine 65 dispatched for the alarm system. Upon arrival the front desk reported receiving calls for smoke on the third floor. The Engine crew investigated and found a moderate smoke condition on the third floor and upgraded the assignment. The fire was contained to a microwave oven with no extension, the unit was secured and 1 & 1 were put in service for smoke removal. Crews responded to the Bensalem High School for a reported building fire. Chief 65 arrived on location with a fire in the south wing stairwell and a moderate smoke condition throughout the 2nd floor. The fire was contained to the stairwell; crews from Ladder 65 and Engine 88 were in-service with Positive Pressure Ventilation. Fire Investigators from Bensalem and Bensalem PD quickly determined the cause of the fire to be arson and had an arson dog from Philadelphia FD respond to assist in the investigation. Two male juveniles were taken in to custody and charge with arson. Rescue 4, Rescue 9, Ladder 65 and Medic 186 were dispatched to Eastbound Street Road in the area of Auto Precisions for a Tractor portion of a truck versus an SUV. Deputy 65 arrived AOS with 2 persons heavily entrapped in the SUV and 1 person ejected from the Tractor. 2 Additional Medic units were added to assist Medic 186. Command reported 2 Class 5s on scene and 1 Class 5 at FTH. Street Road was closed for an extended period of time while fire crews extricated the subjects and police investigated the cause of the accident. 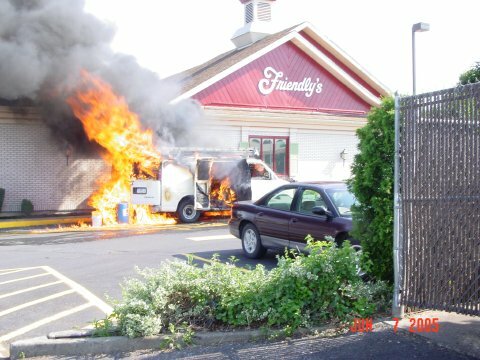 Chief 65 AOS with a work van fully involved up against the restaurant. E-65 went in-service with a 1 ¾ waterline protecting the exposure  Engine 28 dropped a 5 supply line to E-65 , Crews needed to use foam to extinguish the fire in the van due to large amounts of kerosene and gasoline being stored in the van. Some minor damage occurred to the exterior of the restaurant but the quick actions of the Engine Companies prevented any major damage to the store. FM Scanlon was on location investigating the cause of the fire. Chief 6 arrived on location of a 2 story dwelling with heavy smoke showing and quickly advised Bucks County Fire Radio to add Ladder 65 to the scene. Engine 6 and Engine 84 crews found heavy fire on the second floor and were in-service with two 1 ¾ waterlines. Ladder 65 assisted Ladder 1 and Engine 21 with laddering and venting the dwelling. The Lower Southampton Fire Marshal (FM243) was on location and was investigating the fire. Chief 28 upgraded a local assignment to a building fire when he arrived on location of Celebrations Banquet Hall @ 2201 Galloway Road with smoke showing from the roof. At the time of the fire approximately 500 people were attending 2 weddings, they were all safely evacuated. Engine 28 dropped a 5 supply line to Side D of the building and went in-service with a 1 ¾ waterline. Ladder 65 was placed in-service with roof operations. Tower 44 dropped a second 5 supply line to Engine 65 (Side C) Engine 65 pulled a second 1 ¾ waterline to the 2nd floor office area. All hands were in-service for an extended period of time with extensive overhaul and roof operations. 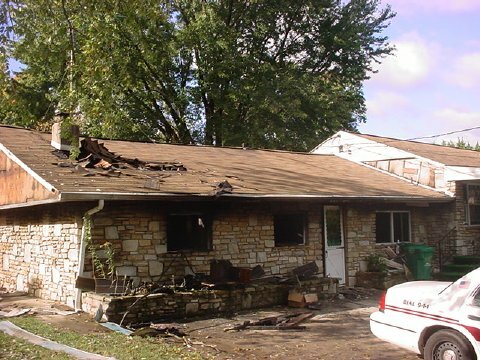 The Bensalem Fire Marshal determined the cause of the fire to be accidental in nature. 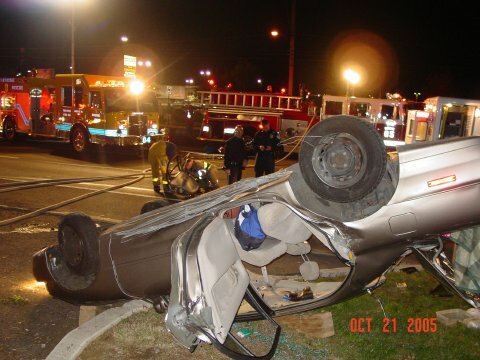 Engine 65 AOS , one vehicle overturned with two (2) entrapped. Engine crew went in service with cribbing & hand tools and extricated both patients prior to the arrival of the Rescue company. The Crew then assisted Medic 186 with patient care. Both patients were transported to Abington Memorial. FM 222-5 AOS with a single family dwelling smoke and fire showing from a bedroom located on Side A. 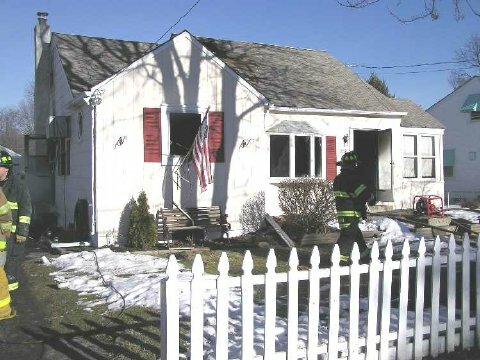 Deputy 65 assumed Nottingham Command  Engine 65 dropped in with a 5 supply line and went in-service with an 1 ¾ water line  Engine 4s crew vented the dwelling. Command reported Engine 65s crew quickly knocked the fire and found no extension. A female resident was burned and treated at the scene by Medic 186. FM-222 labeled the cause of the fire to be accidental. Crews were left the scene at 15:30 hrs. 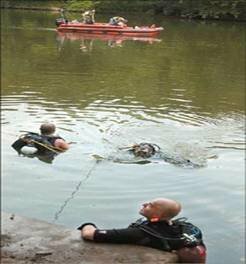 A crew from the NFD assisted the Trevose FD, Lower Southampton FD and Dive-Rescue 53 with searching for a 23 year old male subject that reportedly drowned in the area of the Neshaminy Creek. L-65 was on scene from 01:55 hrs until 04:55 hrs.  Divers and 2 Marine Units returned to the scene Friday Morning to research the area but the results were negative. Companies from the Skyline Fire District (Stations 7,8,9 and 21) arrived with a 2 story SFD with heavy fire from side B/C exterior. Command placed all units into service and requested covers sent, when LADDER 65 went enroute to the cover, Deputy 8 reported he had firefighters trapped in the basement and recieved a mayday. He requested the second alarm, Ladder 65s crew arrived with in 4 minutes of his request and along with C65 went into service with overhaul on the B/C corner. 3 Firefighters from 2 companies were transported to area hospitals for evaluation, Ladder 65 was released from the scene at 0355hrs. Ladder 65 was added on the 2nd alarm at the Southampton Spa on 2nd Street Pike. 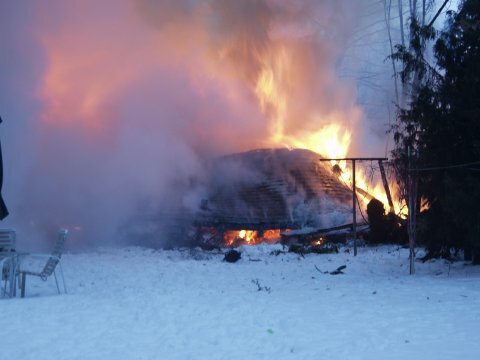 Interior crews report a fire in a sauna with a very heavy smoke condition, Command reported a mayday from one of interior crews and a RIT was activated. 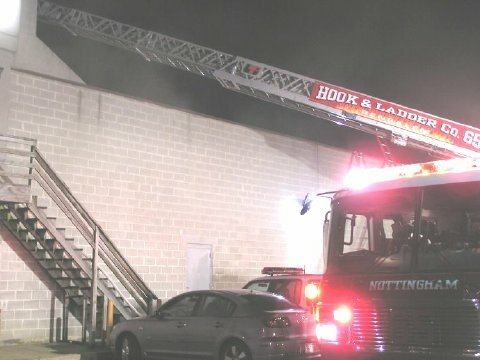 The mayday was quickly cleared and Command put Ladder 65s crew in-service with an interior attack and Ladder 90 in-service with roof operations. 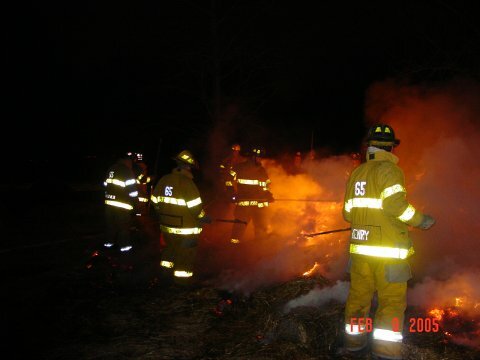 The bulk of the fire was quickly knocked by L-65s crew. All hands were in-service with an extensive overhaul operation. 3 Firefighters were treated for minor injuries and released. The cause of the fire is under investigation by the Upper Southampton FMO. Deputy 65 AOS of a split level dwelling with fire showing from Side A, Engine 65 dropped in and went in-service with an 1 ¾ waterline. Chief 28 arrived and took command while Deputy 65 was interior command. Interior reported that Engine 65 knocked the bulk of the fire down , checking for extension and conducting a primary search. Quint 28 and SS 65 opened up the dwelling while all other units stood by. Interior reported the fire was under control and the both searches were negative. The Bensalem FM is investigating the cause of the fire. 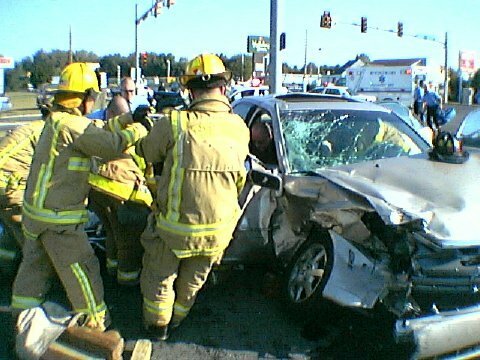 Engine 65 AOS , 2 vehicle accident 1 entrapped. Upon arrival Engine 65's crew went in service cribbing the vehicle. 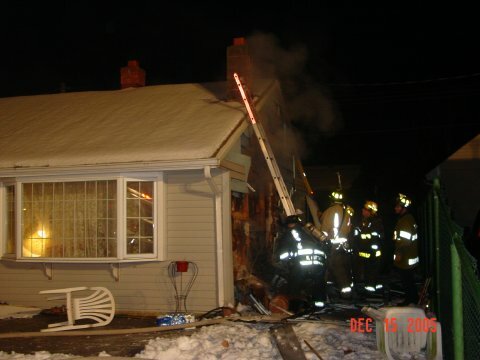 E84's crew went in service with a passenger side door pop. Both crews assisted EMS with patient care. Medic 186 transported the patient to Frankford Torresdale. Chief 8 special called for Ladder 65  Chief 8 advised Bucks County Fire Radio that he had a 3 story wood frame dwelling with a medium of smoke condition on all floors. Crews found the bulk of the fire in the rear of the dwelling in an addition to the original house. 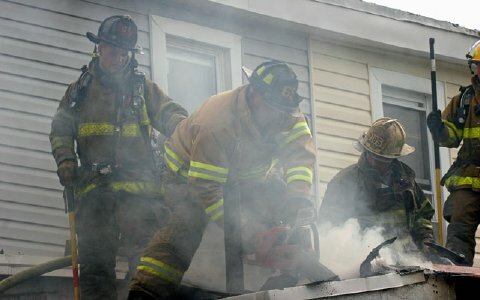 Part of the crew from Ladder 65 opened up the roof while the remainder of the crew preformed overhaul in the fire room. Crews were dispatched to the intersection of Street Road and Mechanicville Road for a traffic accident with one subject entrapped. Deputy 65 AOS with a 2 vehicle car accident confirming one entrapped, Engine 65 quickly gained access into the vehicle and assisted Medic 186 with patient care. Street Road was closed for approximately 2-hours while Bensalem PD investigated the cause. Ladder 65 was dispatched to assist Station 44/88 on a dwelling fire in the 4300 block of Hulmeville Road. Deputy 44 arrived on location with a 1 story single family dwelling with heavy smoke showing Side A and fire showing Side C. Engine 88 went in-service with a 1 ¾ waterline and Ladder 65 went in-service with roof operations and hooking the ceiling. Interior crews reported heavy fire condition in the attic that was quickly knocked down. All hands were in-service with salvage and overhaul operations. FM-222 was on location investigating the cause of the fire. No injuries were reported. 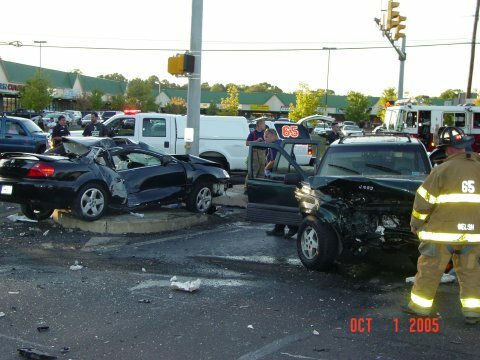 Engine 65, Rescue 4 and Medic 186 were dispatched in the area of Street Road and Tillman Drive (Entrance to Philadelphia Park Race Track) for an auto-extrication. Deputy 65 AOS with a 4 vehicle MVA with 3 entrapped, Engine 65 and Rescue 4 went in-service on a Dodge Straus were two subjects were trapped and then went in-serve with a door pop on a Jeep Grad Cherokee. Three additional Medic units were dispatched to the scene to assist Medic 186. Crews remained on location to assist Bensalem Police Accident Investigation Unit with lighting. Chief 65 AOS of a MVA involving 1 overturned vehicle with 3 subjects heavily entrapped. Engine 65 went in service with securing the hazards and attempting to gain entry into the vehicle with hand tools, Rescue 84 arrived on location and went inservice with removing all 4-doors to the vehicle. Chief 65 requested a second rescue to the scene and EMS command added 3 additional medic units and put Penn Star Medical Helicopter on standby. All patients were transported to FTH in critical condition. Crews remained on location until 04:15hrs to assist PD with lights. Chief 28 AOS of a large commercial building (109,160 square feet) with light smoke showing on Side D, Squirt 44 dropped a supply line from the main gate to the loading dock located on Side D of the building and went in-service with an 1 ¾ waterline, Ladder 65 AOS and setup its main to the roof and went interior to assist the crew from 44s find the seat of the fire. The officer of Ladder 65 advised command that they found a large machine that was on fire located on Side D of the building, the fire was quickly extinguished by Squirt 44. All units on scene were advised by command to put there Positive Pressure Fans in-service due to a moderate to heavy smoke condition throughout the warehouse. An investigator from the Bensalem Fire Marshals Office was on location conducting an investigation into the cause of the fire. Chief 4 AOS of a 1 story dwelling heavy smoke and fire showing Side A. Engine 84 went in-service with a 1 ¾ hand-line while Ladder 65 went in-service with roof operations. Interior command reported heavy fire conditions in the living room with extension to the attic. Engine 44 pulled a 2nd 1 ¾ hand-line as a back-up line; all hands were placed into service. The primary and secondary searches were negative. 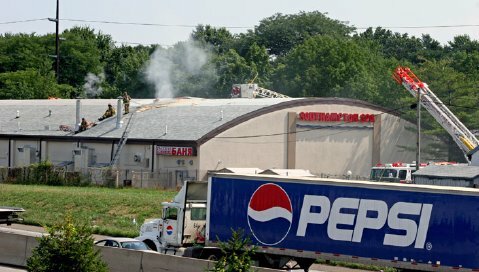 The Bensalem FMO was investigating the cause of the fire. Engine 65 respond with Rescue 4 and Medic 186 for an industrial accident in front of Six Neshaminy Interplex. Chief 4 AOS and reported a large power lift on its side with a male subject partially entrapped. 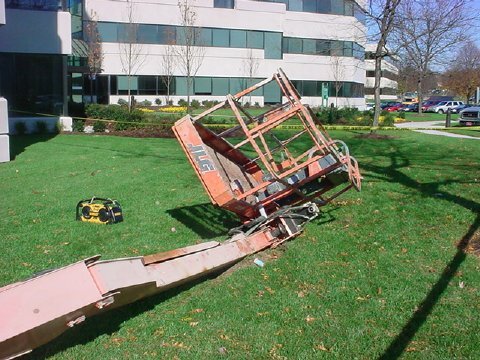 Engine 65 assisted Medic 186 with patient care, witnesses reported the lift fell approximately 70 feet. The male subject was transported to FTH where he was pronounced dead. Bensalem Police and OSHA are investigating the accident. 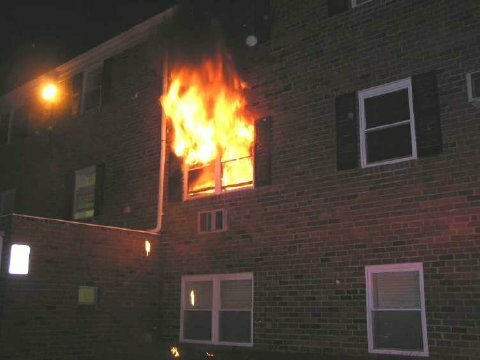 Engine 88 AOS w/ a 2 story apartment with heavy smoke showing and went in-service with a 1 ¾ waterline. Crews from Engine 88 and Ladder 65 encountered fire conditions in multiple locations in the lower level apartment. Squirt 44 pulled a back-up line with assistance from Engine 84. Engine 65 preformed a search of upper floors, all other crews stood by Side A. All searches negative and negative extension to the other apartments. Investigators from the Bensalem FMO and Bensalem PD were on location and labeled the cause of the fire arson. Ladder 65 was sent to Station 16 for a cover assignment , but was added to the Job when Snorkle 16 scratched, upon arrival L65 went to work on the A/D corner of the building. The second alarm was requested for additional manpower and resources. Heavy fire conditions were found of the first and second floors, withdrop down into the basement. Fire was contained to sides B and C. All 6 Bensalem Companies, as well as Pendell , Bristol Township and Lower Southampton Townships assisted at the scene. The fire is currently under investigation by FM252 who is covering for the vacationing FM222. 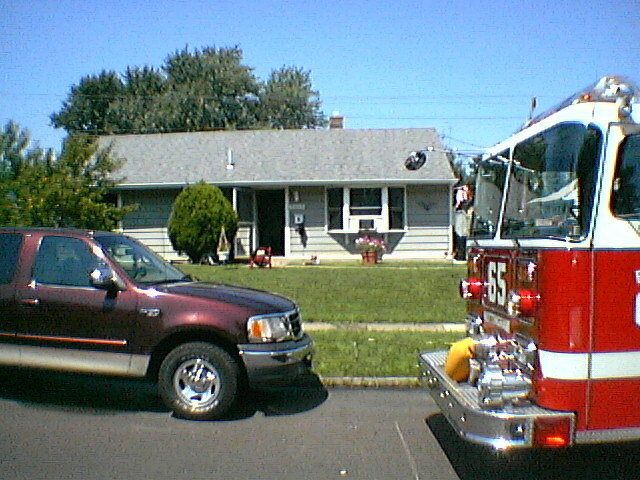 Ladder 65 was added to the scene of a dwelling fire in the Parkland section of Middletown Township. Command reported a 2 story dwelling with heavy fire showing in the rear. Interior crews reported a partial collapse of the staircase and second floor and were forced to evacuate the dwelling. Command requested additional companies; when Ladder 65 arrived they were placed into service with roof operations. 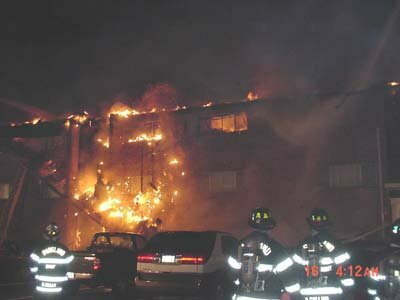 The fire was placed under control at 11:16 Hours. Chief 65 arrived on scene with a chimney fire that had visibly extended into the walls and attic of the dwelling. Engine 65, Engine 4, and Rescue 8 in service w/ 2- 1 3/4 waterlines and pulling the ceiling and walls. Station 44/88 were originally dispatched for an alarm system, when the premises called the 911 Center and reported a Nursing Home Fire with possible entrapment. Deputy 44 reported a fire in a room on the basement level with a smoke condition throughout the lower level. FF/PM Topley of the NFD along with a Chief Officer from Station 88 removed a elderly male victim from the fire room. 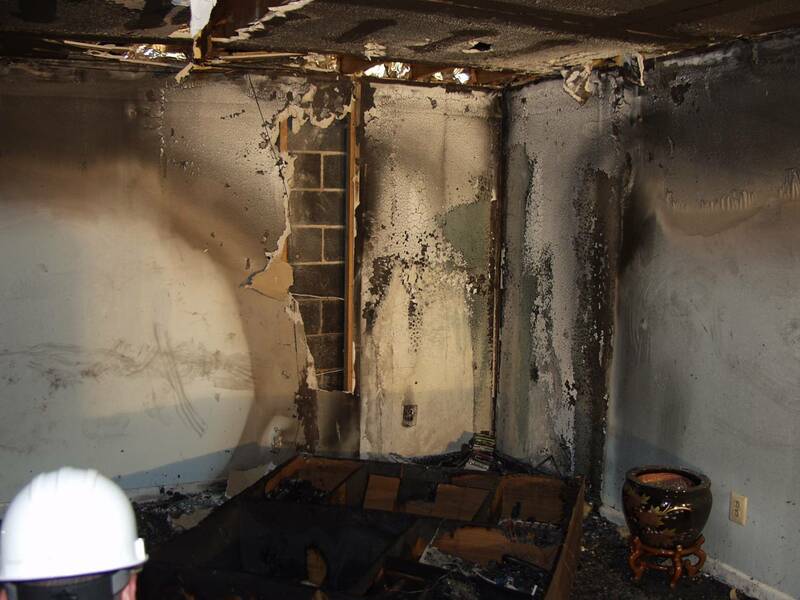 The sprinkler system contained the fire to the room or origin but crews had to perform searches of all of the rooms due to the smoke condition. Crews remained on locations for 3 hours assisting EMS and the Nursing Home with relocating the 80 plus elderly residents displaced by the fire. Investigators with the FMO labeled the cause of the fire accidental (careless smoking). The victim that was rescued had burns over 90% of his body and succumbed to his injuries less then 24 hours later at Temple Hospital in Phila. 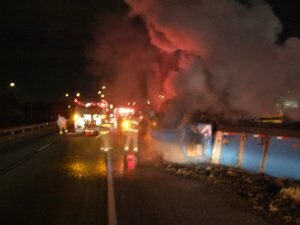 Deputy 65 AOS with an overturned Semi-Tractor Trailer with fire in both the engine and passenger compartments of the truck. 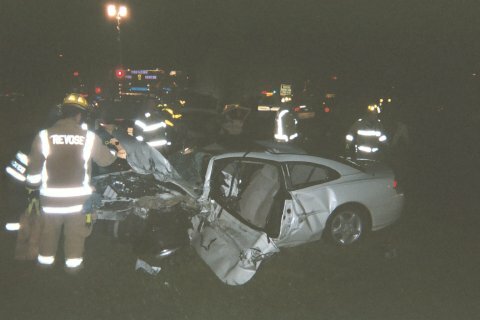 The driver had already self-extricated himself prior to the arrival of the FD. Engine 65 went in-service with an 1 3/4" waterline and Engine 84 assisted our crew. 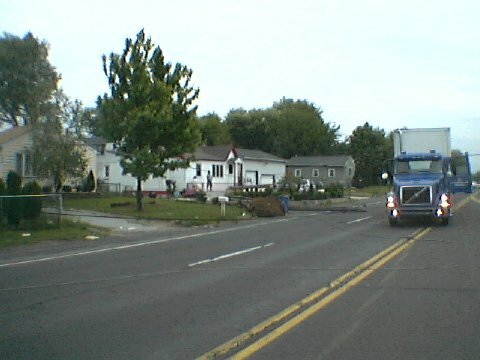 Both Engines remained on location for approximately an hour and a half while the towing company upright the truck.